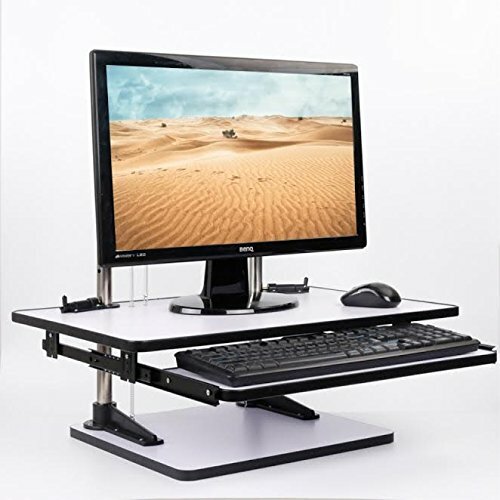 * White wood color * Heavy duty Sit and Stand table desk riser mount for laptop(any size) or Monitor upto 27" * Comes with keyboard tray that slide in and out * it can hold upto 160 pounds * Height adjustable ( refer to the diagram showing the dimension) * It can be placed onto Desk, table , anywhere and allows your working position to Sit or Stand flexible to your convenience. * The item weighs around 10 pounds and can be moved easily. If you have any questions about this product by MagicHold®, contact us by completing and submitting the form below. If you are looking for a specif part number, please include it with your message.